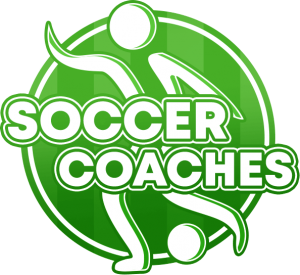 Perfect combination play and accurate passing, even under maximum pressure of time is the critical skills that characterize successful soccer teams. However, how do you train accurate passing? In addition, how do you lay the foundations for perfect combinations? 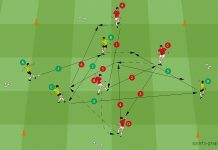 This drill from the series “The Art of Attacking Soccer 4” helps your players to focus on quick combinations and concentrate on precise passing into the run of a teammate. 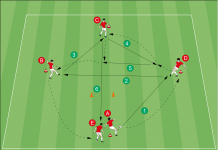 With this soccer drill, you will learn how to organize a competition with two groups. Who passes the fastest and scores the most goals? 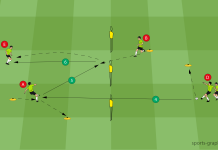 This creates pressure of time on the players and ensures that they perform the passing sequence at high speed. 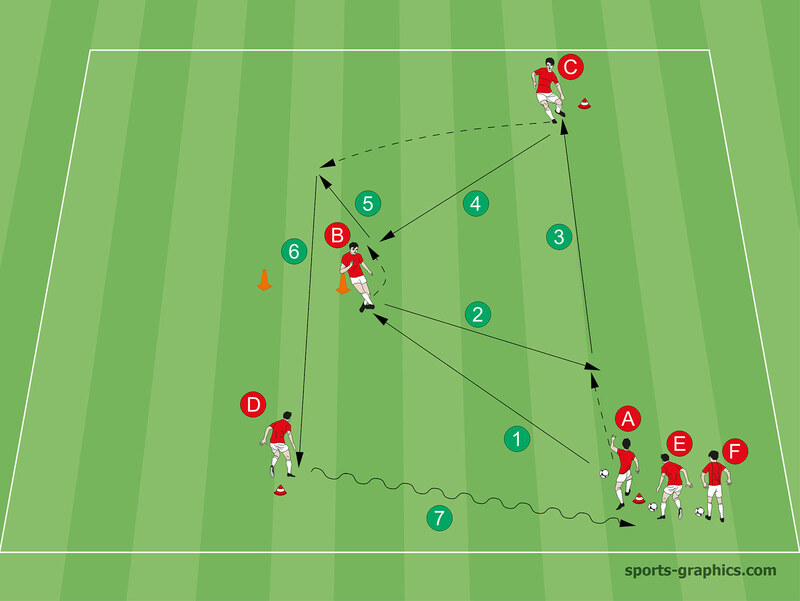 C plays a wall pass with B and passes directly through the passing goal to D .
All players move on one station. Build up this training form twice / three times. Which team scores more goals through the passing goal? In doing so, the coach should make sure that the competition runs clockwise and then anticlockwise.